I had just gone and picked up my vegetable and fruit box and found myself with a massive bunch of celery. once I had chopped it up and popped it in a container I had no idea what I was going to do with the leaves left over. I googled “what to do with left over celery leaves” and found out an interesting fact – Celery leaves can be used instead of parsley! Winning! 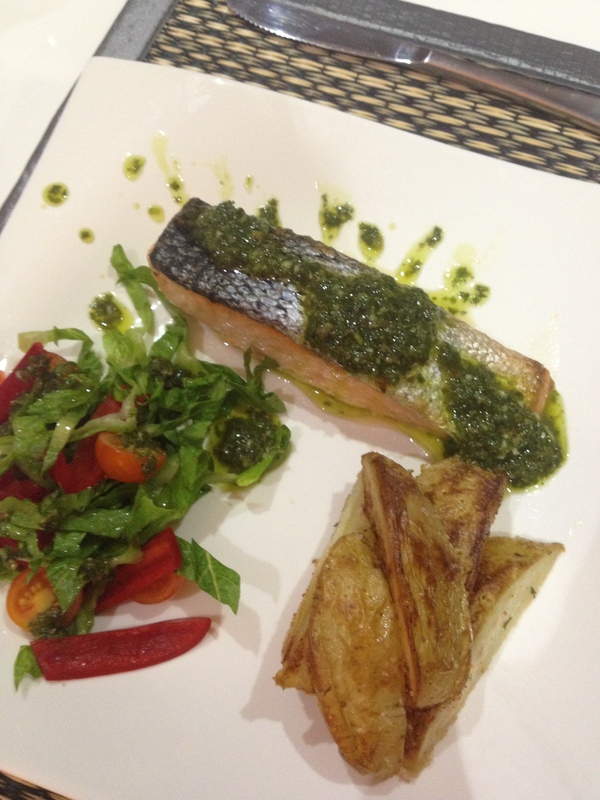 So here is my salmon dish with a Salsa Verde made with celery leaves! After 20 minutes remove both wedges and salmon, plate up and drizzle Salsa Verde to serve.